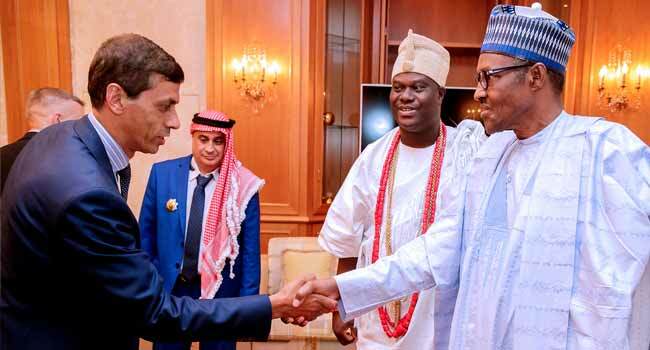 President Buhari exchanges pleasantries with an investor as the Ooni of Ife, Adeyeye Ogunwusi looks on. 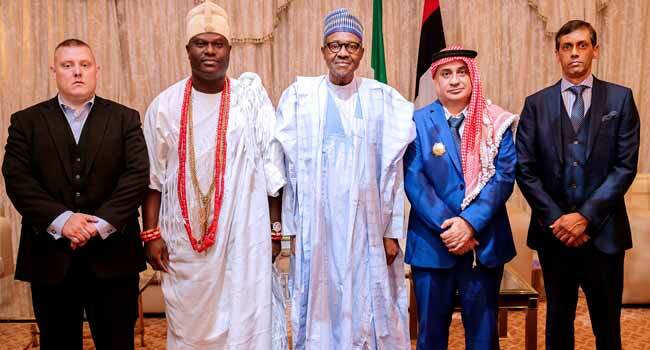 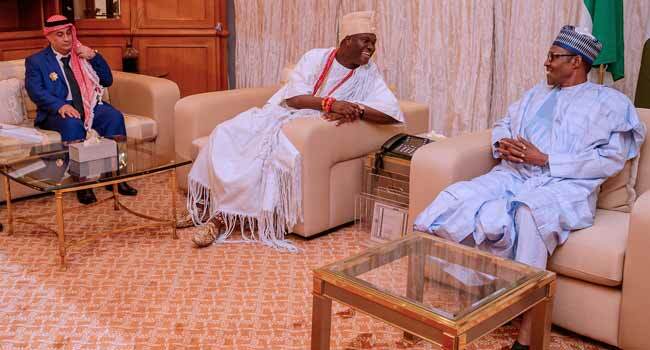 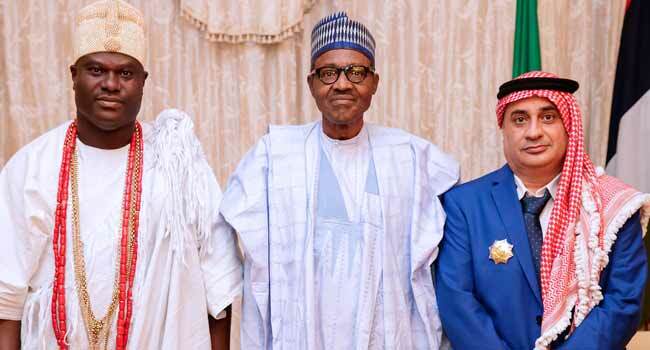 President Muhammadu Buhari on Tuesday received the Ooni of Ife, Adeyeye Ogunwusi at the State House in Abuja. 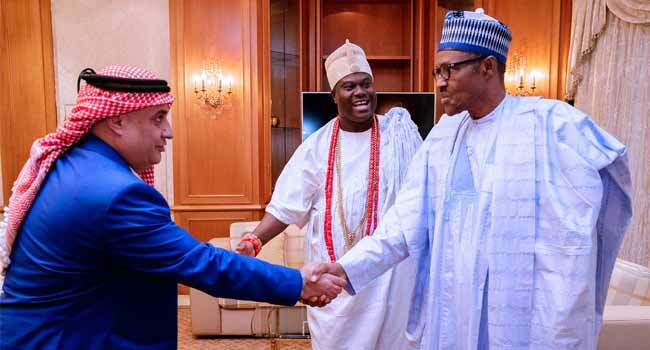 The President also hosted the Chairman of GDTC Investment, Ahmad Bin Zuhir Al- Natour.